Most of 2018 games are already released. Now it is time to look into the future and to plan some gaming budget for upcoming projects. So, here are top 5 most expected PC games of the year 2019. The sequel of the 2016 shooter. The Hell portal on Mars remains open. It is payback time: demon hordes invaded Earth and only the main hero can stop them right now. 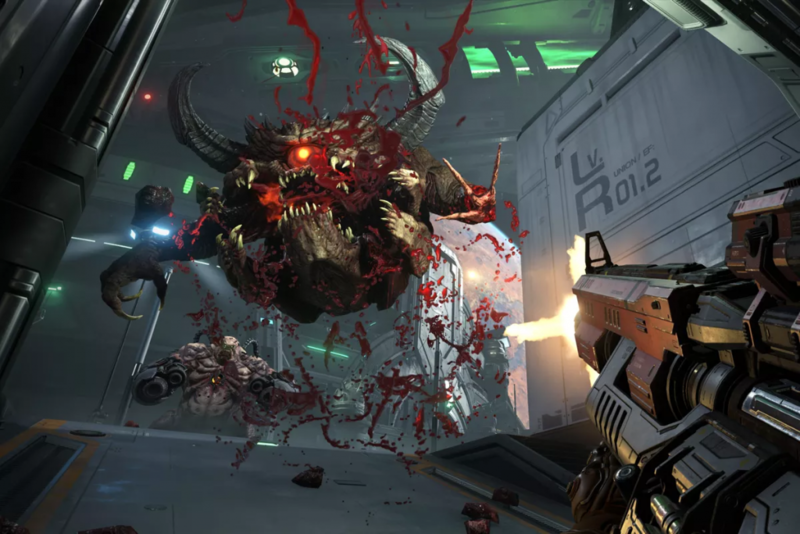 As any good sequel, Doom Eternal will preserve best elements of the original game and fill them with new ones. Yes, the gameplay will become even faster (despite this seems impossible) thanks to that cat-hook added to the bunch of protagonist’s equipment. Of course, there will appear new enemies, weapons and brutal finishing scenes. The new part of Devil May Cry slasher series by Capcom. They decided to forget about the franchise reloading by Ninja Theory. 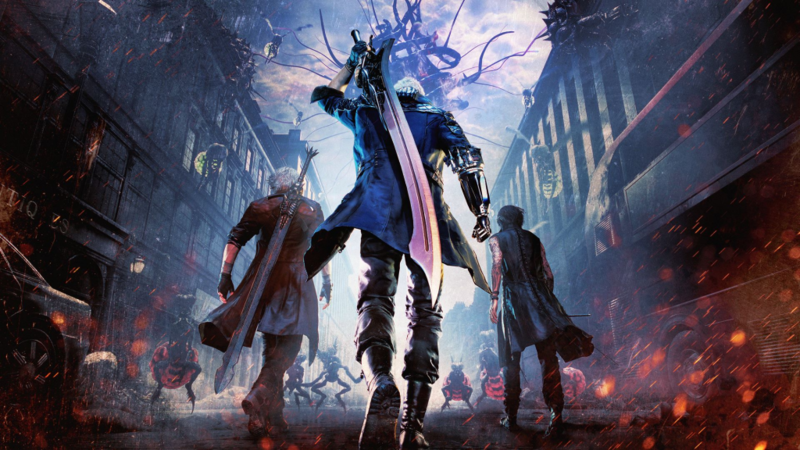 The fifth part will continue the story of the original franchise and players will play as Nero who lost his demonic arm, Dante who got a bit old, and the additional new protagonist. Devil May Cry 5 is the same beastly dynamic gameplay with the active soundtrack. Huge bosses, surrealistic locations and crazy fighting tricks expect gamers here. The release is planned for the 8th of March. This is the postapocalyptic shooter telling about the journey across Russia destroyed by nuclear war. The game failed to make it to release this year: authors postponed the date till February 2019. Nevertheless, this might be a good sign. 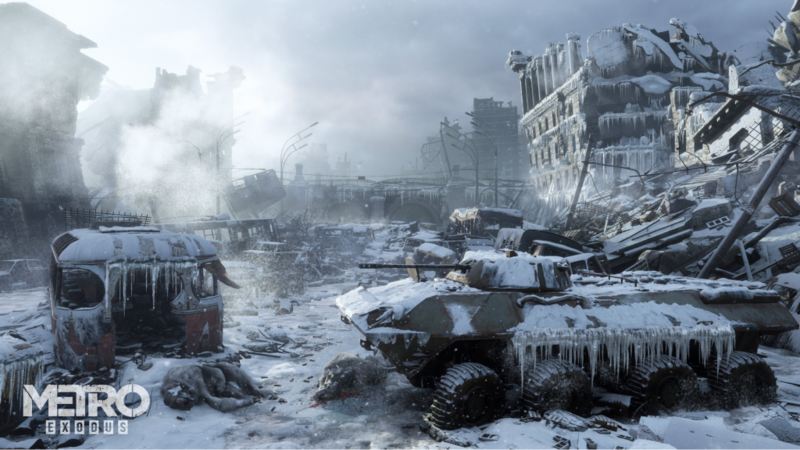 Metro: Exodus will not only attract you with an interesting story and variable gameplay features but become a serious trial for your computer. This game can show you the use of all modern graphic technologies including the real-time ray tracing feature. So, you still have some time to upgrade your PC. Who could think a remake to be of the most expected PC games? 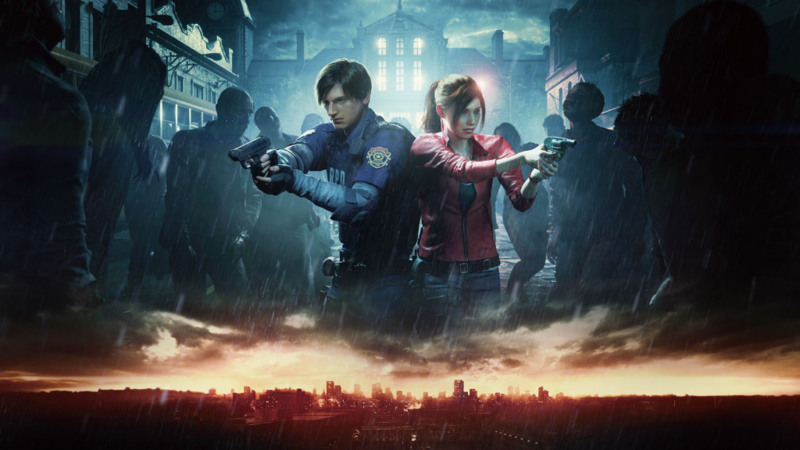 Resident Evil 2 Remake announcement on E3 2018 showed everything including this was possible. It is difficult to call this game a remake: developers literally created a new game based on the old one: they did serious job on graphics and gameplay. But the story remains the same: Raccoon City with zombies crowding its famous locations expects gamers to enter it one more time. If this game will be successful (it will), then the release of RE 3 remake will be just a matter of time. The release is planned on January 25th 2019. Many gamers doubted Cyberpunk 2077 to be released in 2018 and were right: CD Project RED> did not release the game but started a massive marketing campaign, so there is some more confidence about its close release. 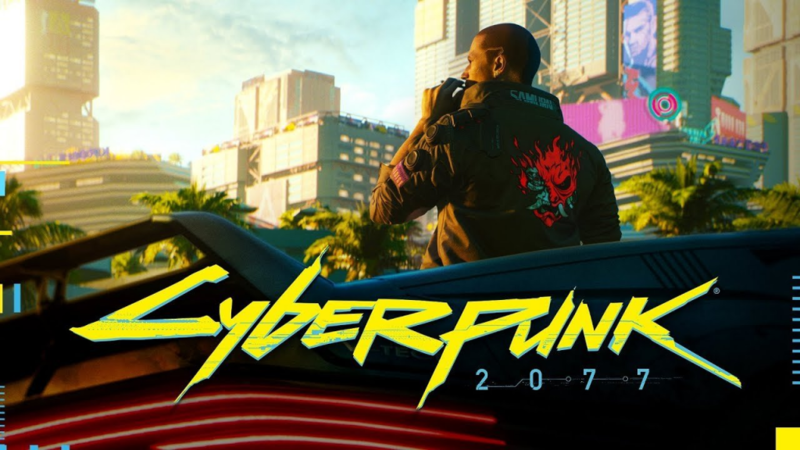 Cyberpunk 2077 will offer gamers a non-linear story with events depending on player’s decisions, charismatic characters, trustworthy “adult” world, deep RPG system, combat system processed in details and great graphics. A huge success of The Witcher 3 gives great trust credits for developers and challenges them at the same time: they need to work hard in order to overcome their previous game. 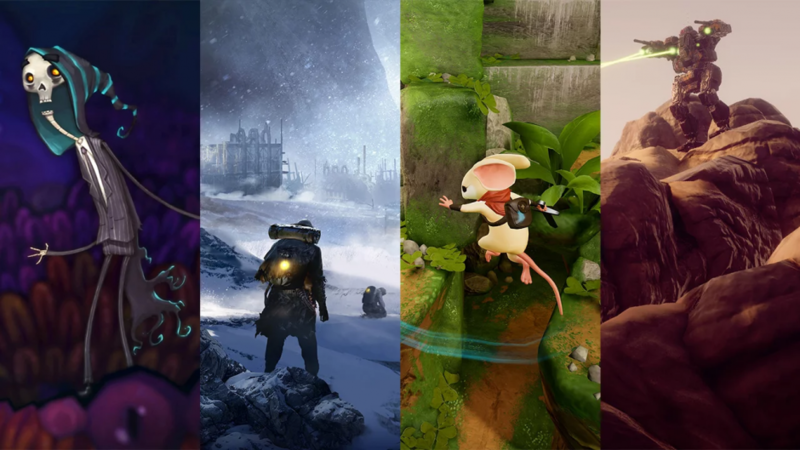 Not all expected single-player games of 2019 were included to this list: we will discuss many interesting projects in future. Indie games exist as the game development industry itself functions. But throughout the last decade when multimillion blockbuster projects crowded the market, the definition “indie game” is used much more frequently. Nowadays, they call modest projects with minimal budgets as “indie”. And as a rule, independent developers have more freedom (and wish) for experiments while regular blockbusters can’t allow that luxury. I can’t call this list a typical top-rank of games of all times. Consider it as a start of discussion, not an ultimate sentence. Great new indie games appear every month. That is why our top-lists will appear at least several times a year. Here you can find games we recommend today. 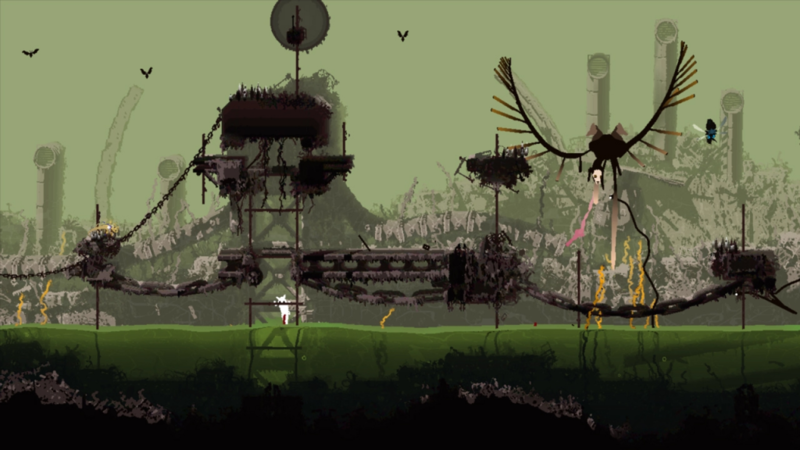 You will hate Rain World unless you find right approach towards it. It looks like a platformer first, but it is not: this is a cruel survival game. The first hour of a game does not correlate with expectations: controls are slightly uncomfortable and not that intuitive as in most 2D-games. You just need to learn it (you can and need to learn everything in this game, but sometimes it still doesn’t help. After you get used to things, Rain World becomes amazing. You play as a slugcat who is at the bottom of food chain and you have to survive in the mysterious and destroyed world. Rain World is angry and probably one of the most tensed and atmospheric 2D platformer games we used to play. The game can offer simplifying settings in case you want to make the gameplay easier. Still, I wouldn’t do that. Rain World limits player’s possibilities in order to prevent him or her from gaining control over the game. But it is logical. It is not “unfair” or “poorly developed”. It just does not care about you at all. My team consists of a skeleton who mastered the poison magic, a dwarf pirate and a flame breathing lizard prince. Till the end of a game, one of them will become a god. Many developers tried to resurrect isometric RPG genre by giving it a modern look but only a few of such games can really be called as those reminding of past times and great RPGs to recommend not just for players feeling much nostalgia. 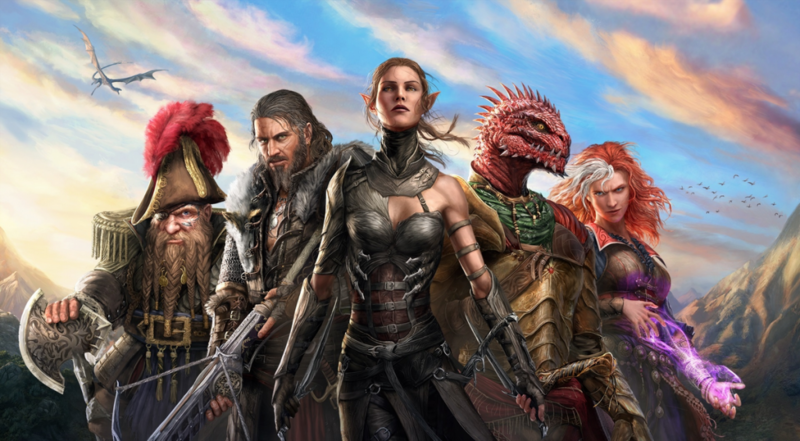 Divinity: Original Sin 2 takes the traditional fantasy adventure structure and adds a stunning bunch of abilities filling several action panels, side quests serving as a rest from the main plot but valuable on their own, and the level of detail people usually expect from big budget RPG games. Every member of your team has own goals, plot line and life, and they can replace your character in case he or she dies. You can even choose any party member to be the dialogue initiator. Still, greeting people as a skeleton is not the best idea. Original Sin 2 has a great plot, involving quests, strong characters with arcs requiring nearly 100 hours of walkthrough. These features are significant improvements of the first game part which was a very good RPG already. What we really like in Original Sin 2 is that every time you ask “Can I do that?” you most probably can. Create as many save files as you want in order to find out what happens if you kill this or that NPC or enter the forbidden area or jump over the wall instead of solving another puzzle. Larian created an RPG with the open ending which lets you play as you want and then gave it a great story and combat system. 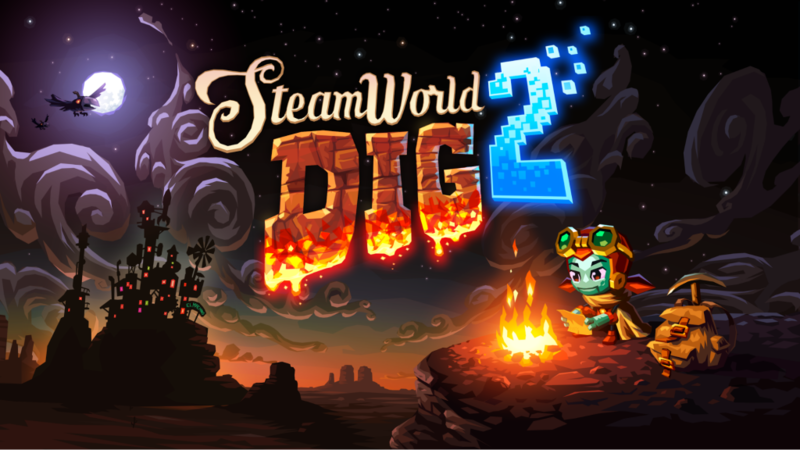 SteamWorld Dig 2 is a 2D metroidvania where you need to dig tunnels in a completely destroyed world. You collect resources, take them to the surface, improve your gear and go back to digging. As upgrades appear, you discover new areas possible to explore and ways to explore them. The magical combination of exploration and resource collecting is exactly what makes survival games so calming. It lets you develop in your own tempo. You start experimenting with different devices and using them in new ways, and you start digging tunnels differently. No matter what you do, you always get progress. One thing smoothly turns into another, so you want to get deeper and deeper to find more new items. You do not always have to eliminate aliens, Nazis or trolls in a fantasy, sci-fi or postapocalyptic setting. Still, this formula is used in most cases. Gone Home was not the first game making a step aside from these stereotypes and offering an interesting story with a meditative gameplay, but it was lucky to appear exactly when many people had enough with AAA-projects impossible to distinguish them from one another. 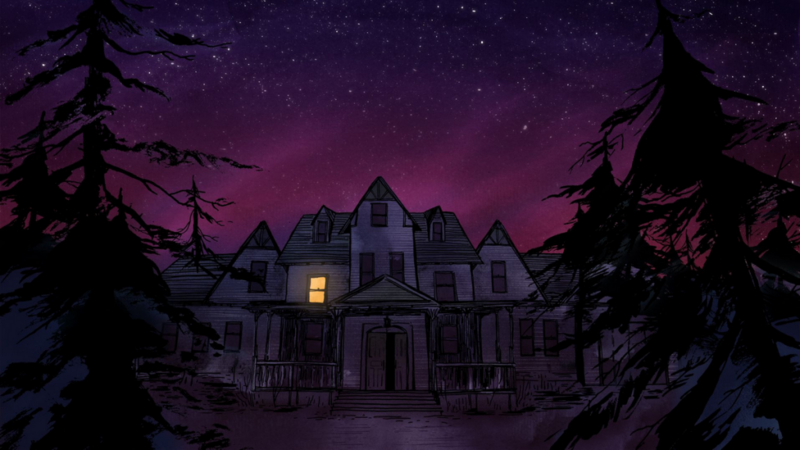 An additional success reason for Gone Home was the fact that the Fullbright studio almost totally refused the cinematic storytelling and relied on completely different solutions. It is interactive as you walk around the house and explore stories of its inhabitants, but the game pushes you to think over these stories. There are many “walking simulators” in our times, but Gone Home is different because of a deep story asking a bunch of important questions. Games are great because they let us live someone’s life. For instance, Snake Pass allows being a snake and Papers, Please with its top bureaucracy level lets you become a border control service officer living in a totalitarian state. Games are usually weak to pass the moral side of problems, but Papers, Please which is full of quite complicated rules rare to appear in such projects gives the player the actual power upon fates of people standing in a queue before the control point. The game makes you keep those rules strictly because otherwise you will have to pay the fine and bring nothing to your starving family. And the process of paper checking itself makes you feel unconfident. Once you find inconveniences in documents, you feel like a real detective, but then you understand that your decision took away the possibility of a person to get home, and that’s not very pleasant feeling. Yes, it is a game about bureaucracy, but it is so tensed! After they gave me the key to a weapon chest for my job successes I wished to give it back. That’s not the game where weapons could be interesting for me. 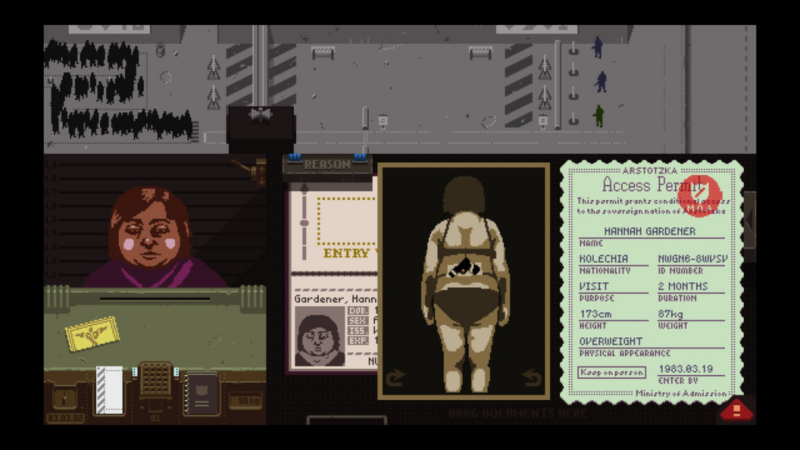 I still remember a person who never became a citizen of a fictional state of Papers, Please: an old man carrying fake documents time after time. There could be gender confusion, wrong bit date, someone else’s passport photo, etc. Every time his mistakes were more obvious but his careless mood remained unchanged. I rejected his pass and he just smiled saying he’s going to come back. Like if I was a waiter in his favorite restaurant. Papers, Please is the game requiring tough decisions from you, but the most guilty deed for me was that I never allowed that positive old man to pass the border. In some ways, Jonathon Blow could be credited with kickstarting this entire outside the box blast off right around 10 years back with Braid: one of the main very perceived autonomous recreations. His second venture, The Witness, is a totally different sort of brute: huge creation values, an open world to investigate, and a genuine feeling of occasion’. In only two recreations, Blow has figured out how to catch the development of what non mainstream’ can mean. The Witness conveys a quality of significance in its reality and account, yet those components deceive the center experience: line confounds. The diversion utilizes the same formal for the greater part of its 600 riddles, however each new one you approach presents new decides that further confuse things. The Witness totally rotates around an expectation to absorb information: finding how to explore principles, and afterward violating those laws so as to incorporate new ones. The way that the amusement helps you through this with no indication of an instructional exercise or rulebook is demonstration of Blow’s configuration capacities. Remaining on the sidelines now, it ought to have been uncontrollably evident from the earliest starting point that football with autos’ was an equation with no other conceivable result than wonder. 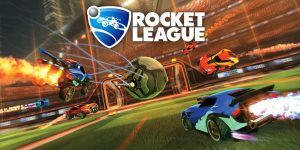 Rocket League pits two groups against each other to score objectives at high RPM, bobbing balls from heavily congested and impacting them to the back of the net with a speedy support of quickening. It’s seemingly straightforwardness that has made Rocket League an immense example of overcoming adversity: there’s no hardware to battle with, no meta amusement to ace, nor classes to comprehend: you basically drive with a blend of strategies and animosity. Learning traps to effectively pass and acing ball control includes profundity ought to the amusement truly hit with you, yet at its best time Rocket League is an outstanding bit of easygoing euphoria. You know those scenes in boombastic movies when the activities eases back to a creep and the legend evaluates their stop confined adversaries, choosing what super-chill move to pull next? 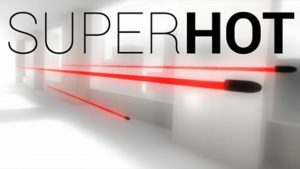 That is Superhot, the most enhance shooter in years (or so the designer claims). A riddle diversion masked as a FPS, in Superhot time just advances apace when you move. While stationary, slugs hang in mid-air and punches solidify mid-strike. By creeping gradually forward through a level, examining every second of fight, and thinking of smooth methods for beating inconceivable chances (punch that person, get his weapon, shoot his sidekick and afterward throw the gun into the substance of the man behind you) is never not as much as John Woo-cool. It’s much of the time scalp-scratchingly difficult, yet watching yourself in the full-speed replays is the ideal prize. So far our rundown has investigated amusements that are vigorously in light of frameworks and mechanics, however as we probably am aware gaming – the outside the box part particularly – is considerably more than customary difficulties. Enter Firewatch; a diversion of Wyoming’s Shoshone national park and the year 1989. You play a recreation center officer, and it’s dependent upon you to… well… walk the grounds. That moderate paced profession gives your character time to think, thus unfurls Firewatch’s story. It’s a human story; one that might not have any grandiose significance, but rather one that discussions to the heart. It’s essentially told through the connections of your hero and a colleague more than two-way radio, which – while being something each activity diversion legend accomplishes for mission sit-reps – goes up against another feeling of gravity here. Your colleague’s voice is every one of that isolates you amongst society and complete segregation. Also, that is about as much as we’re going to give away. 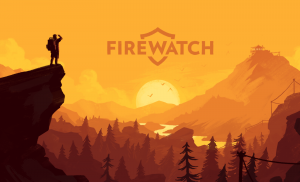 Firewatch is best experienced as visually impaired as could reasonably be expected. Be that as it may, regardless of the fact that you don’t go in for the story, go in for the world: once in a while does a diversion catch a feeling of time and place in such a flawless way. An awesome mouse pad is not as a matter of course a simple thing to pick regardless of what you may thinkl. 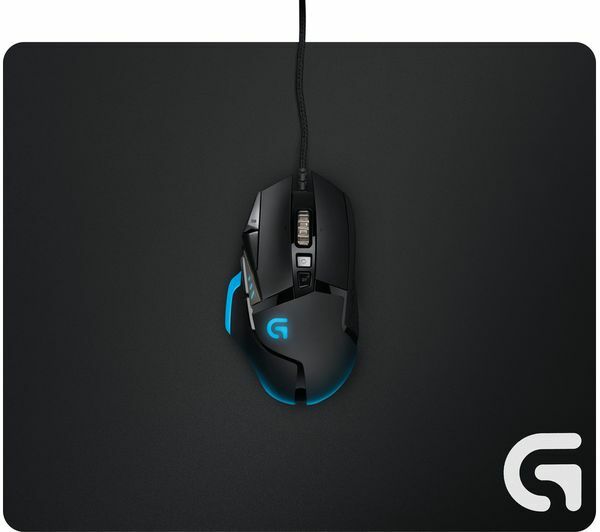 First and foremost, everybody has their own inclinations and idiosyncrasies with regards to PC use and you ought to search for a pad that best fits how you want to utilize a mouse. For instance, if you get a kick out of the chance to make unpretentious wrist developments, search for a textured surface that can absolutely channel these short, brisk moves. Then again, if you tend to move your mouse from your elbow, an extensive, smooth surface is generally best. Past that you ought to likewise search for a mouse pad that is the right size for your work zone. We’ve picked these best mouse pads on account of their textured surfaces which make PC utilize a substantially more exact undertaking than simply utilizing your mouse on your desktop or a book. These mouse pads are produced using materials so they’re comfortable to use and also guaranteeing long haul solidness and imperviousness to ordinary wear and tear. These mouse pads likewise come in sizes perfect for most home desktop setups and work regions. The Turtle Beach Drift’s magnificence is in its straightforwardness. 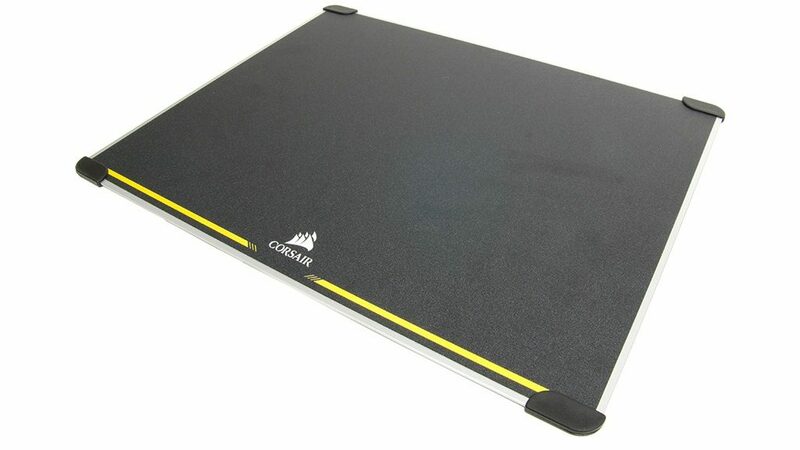 This microfiber mouse pad is smooth in advance, with weaved edges and a safe back to keep it from moving around. There’s a wonderful red Turtle Beach logo to give it a little pizzazz, however other than that, it’s entirely straightforward simply pick the size that is best for your setup, and let fly. The Drift functioned admirably over all types I attempted, and the weaved edges dependably let me know when I was running up against the edge of the pad and needed to reset my hand. If you like having a great deal of choices, the SteelSeries QcK Mouse Pad is a decent place to begin. The standard form of this mouse pad is sufficiently little for a desktop and sufficiently thick to bolster a wrist, however with no weaved edges and just a little, white SteelSeries logo in the corner. You can get it in an assortment of sizes, shapes and thicknesses, which ought to fit your setup regardless of the amount of space you have. I could play at the highest point of my diversion for Titanfall, Heart of the Swarm and Assassin’s Creed Unity, because of its smooth surface, and picking the right size for my work area had a major effect. The Corsair MM600 is not shoddy, but rather it’s justified regardless of each penny. This hard mouse pad highlights something to please pretty much any sort of gamer. A reversible outline gives players a chance to switch between a smooth surface and an unpleasant one just by flipping the fringe over. 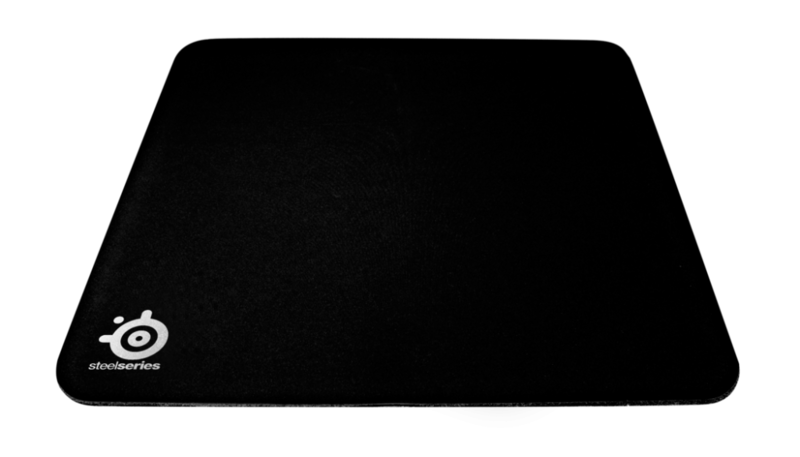 To start with individual shooter players can coast around the mat easily; turn-based technique players can move the mouse gradually and mindfully; and gamers who devour various classes can move forward and backward voluntarily. Four elastic stubs at every edge of the mouse pad keep it immovably set up, regardless of which side is up. The Razer Firefly is extraordinary in the realm of mouse pads, and it’s unquestionably the most irregular fringe I tried. The Firefly is an electronic mouse pad that elements a hard surface and LED lights around the edges, with full Chroma capacities (16.8 million hues). 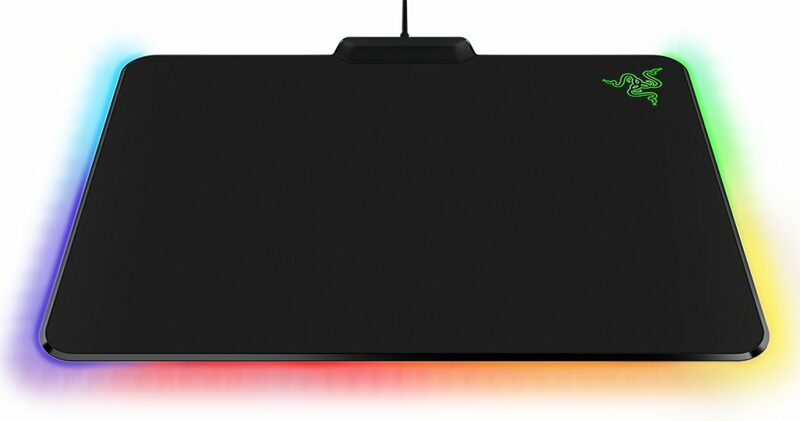 The mouse pad synchronizes with other Razer Chroma peripherals, similar to the DeathAdder mouse and BlackWidow console, to show complicated shading designs. The LEDs looked ravishing (in spite of the fact that I didn’t invest especially energy taking a gander at them amid gameplay), and the hard surface let the mouse float crosswise over it with next to no resistance. I welcomed that the Firefly encouraged both comfortable gameplay over all classes and a technique for outwardly spicing up a esports gaming niche. It is the absolute peak moment. Time stops. You can’t blink. You can’t do anything but concentrate on that final goal. Without noticing, you lean forward in anticipation, and then BOOM. Chair snaps from right underneath you, and you just lost. Now maybe you see the importance of gaming chairs. Remember that not all chairs are made equivalent. 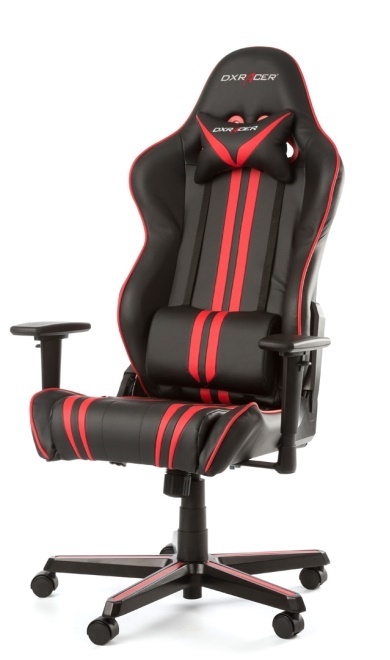 There is undoubtedly a gaming chair can take care of business, that is by all account not the only approach. Gaming chairs have a tendency to be made of plastic, which is one thing you will dependably need to keep an eye out for. They regularly have different buttons and things of that nature indicating off in each bearing, effectively flimsy parts. It is truly comforting to play a video game sitting on one of these agreeable chairs to unwind at home after work. There are different sorts of chairs which are reasonable for grown-ups. Some of them have arm rests and caster wheels moreover. The wheels allows you to move around the room without getting up from your chair. There are so many video gaming chairs on the market today that it can be difficult to know how to pick a gaming chair that is going to give you the best video game playing experience. Ergonomic configuration. In this way, solace ought to be the principal component you ought to search for. Cost. Will you disregard cost? Obviously, not! It is just when you pay the value you get the item, would it say it isn’t? Along these lines, even before you consider getting a gaming chair, you ought to be clear of your financial plan. Considering the space necessity. If you feel that space is a major sympathy toward you then worry not. There are gaming chairs that are planned differently particularly to suit your space needs. A few chairs are foldable and can be effectively shifted starting with one room then onto the next without much strain. One of the best gaming chairs for grown-ups is the home style chair that has agreeable cushions. IEX Beanbag the gaming chair is one that is more reasonable for children. Since it is a basic chair loaded down with polystyrene dabs and is secured with vinyl upholstery, it gives extremely in solace. With its L shape, it gives abundant solace when a child sits on it. Typically, they have capacity pockets on either side as well. One great the thing with bean sack kind of chairs is that they are reasonable for grown-ups and youngsters alike. Simplicity of cleaning is an extraordinarily preferred standpoint they offer.